About 60 percent of underground water in China, and one-third of its surface water, have been rated unfit for human contact last year, according to the environment ministry in Beijing. The ministry said in a statement that water quality is getting worse, and the ministry classified 61.5 percent of underground water at nearly 5,000 monitoring sites as “relatively poor”or“very poor.”In 2013, the figure stood at 59.6 percent. The fact that the water is unfit for human contact means that it can only be used for industrial purposes or irrigation. The water supplies are classified into six grades, with only 3.4 percent of 968 monitoring sites of surface water meeting the highest “Grade I” standard. A total of 63.1 percent was reported to be suitable for human use, rated “Grade III” or above. China is currently carrying out a “war on pollution” campaign, to deal with environmental issues. In particular, in April, the government in Beijing pledged to increase the percentage of good quality water sources up to 70 percent in seven main river basins, and to more than 93 percent in urban drinking supplies, by 2020. Also, a prohibition on water-polluting plants in industries – such as oil refining and paper production – is set to come into effect by the end of 2016. Air pollution also remains one of the most serious issues in China, the ministry said in its statement. Just 16 of the 161 major Chinese cities satisfied the national standard for clean air in 2014, statistics demonstrated, local news agencies reported. The other 145 cities – over 90 percent all in all – failed to meet the requirements. Also, acid rain was detected in about 30 percent out of 470 cities. 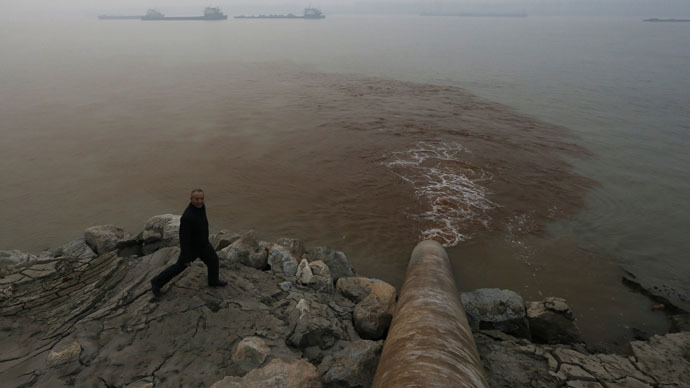 Deputy Environment Minister Zhai Qing admitted that the fight was far from over. The problem is so challenging that"reducing pollution by a few percentage points is not enough,"he said. Also, he said that only several key pollutants, such as chemical oxygen demand, are now monitored. "We are fighting a protracted, uphill battle," Environment Minister Chen Jining said, echoing Zhai’s comments.